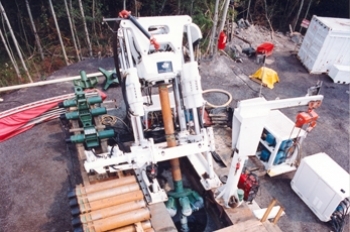 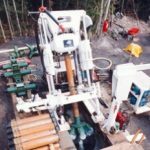 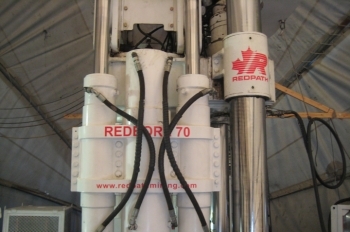 The Redbore 70 is a powerful and compact raise drill designed to fit in smaller excavations. 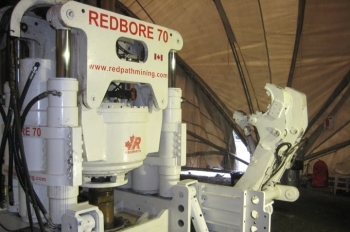 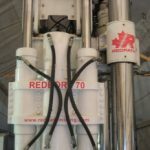 The Redbore 70 can be configured to complete 48″ (1.22 m) diameter downreaming. 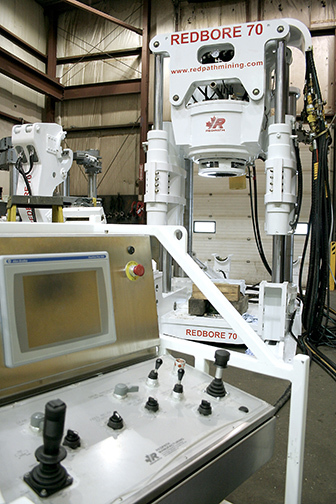 Nominal capacities range up to 13’ (4 m) diameters with lengths of raises up to 2,000’ (609 m). 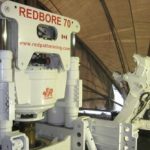 This makes the Redbore 70 an ideal candidate for mid-size ventilation raises and material handling raises of all kinds.